Open BeeCut, go to "File" on the top left of its main interface, click "New Project" and choose the proper aspect ratio. You can create a new project before editing to re-edit the video anytime you want. BeeCut will generate a VE file to save all the editing jobs you have done for this project. You can continue to edit the project file when you re-open it. 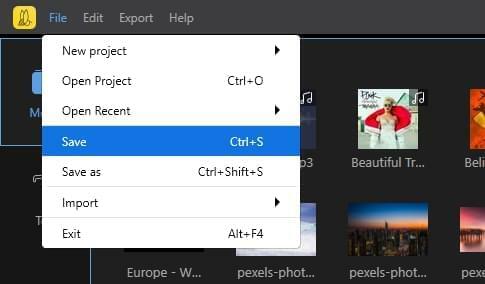 When you finish editing or need to keep progress, please click "File" > "Save" on the top left, name the project, set the output directory and then click "Save". 1. 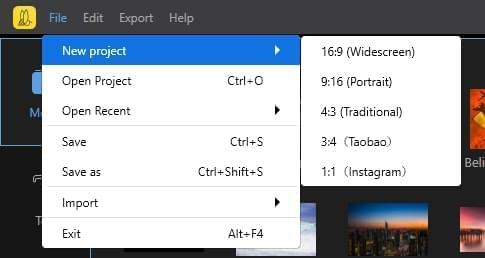 When you finish editing and want to export the file, click "Export" in the toolbar. 2. 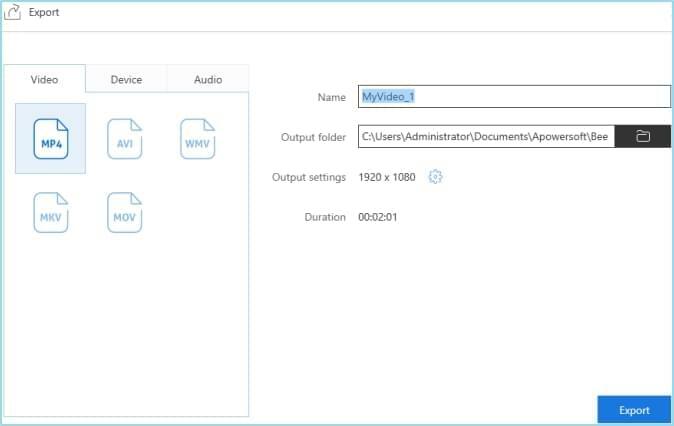 Set the output format, file name, directory and settings in the pop-up window. 3. 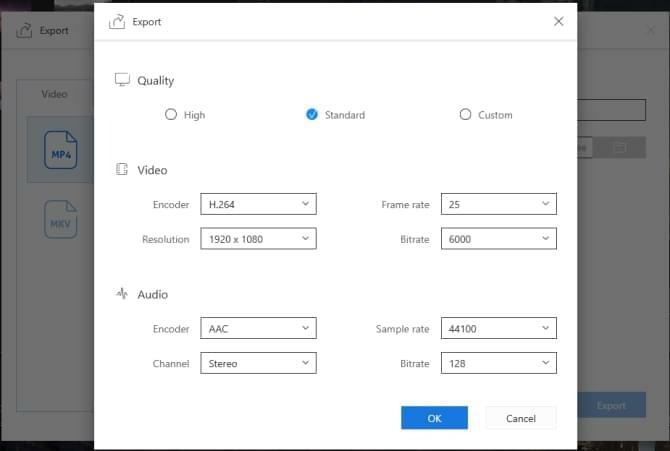 Click "Output settings" to set video resolution, bitrate, encoder and so on. When you are done, click "Export".